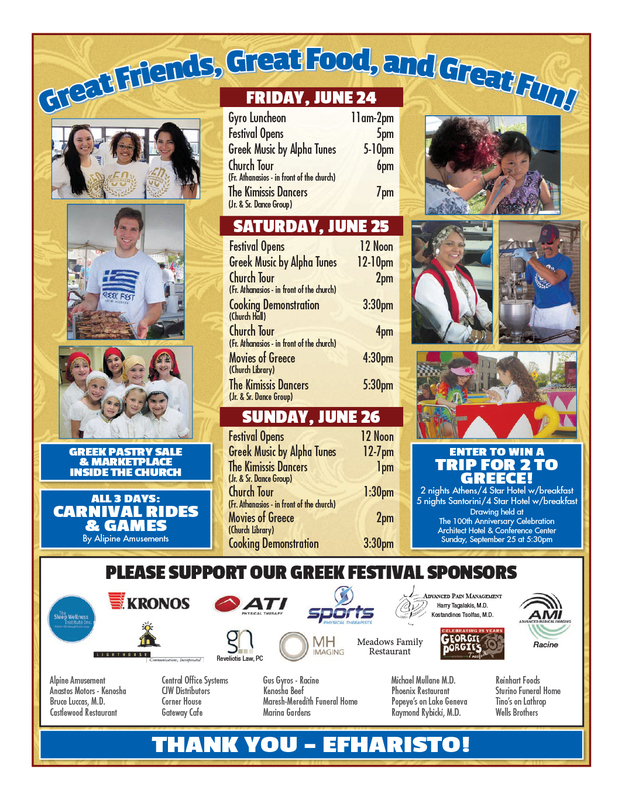 Also, carnival rides and games, Greek pastry sale & marketplace, Drawing for a trip for two to Greece! 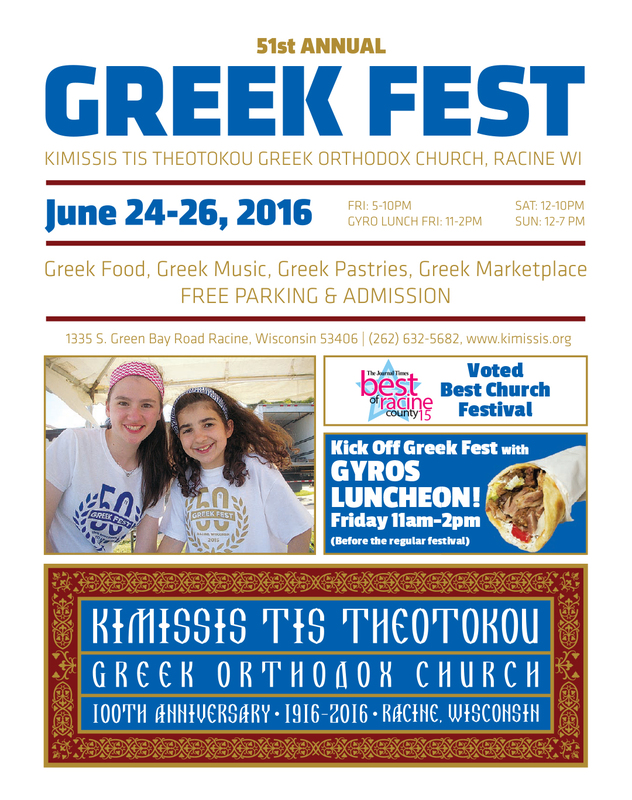 Kimissis tis Theotokou Greek Orthodox Church presents its 50th annual Greek Festival! 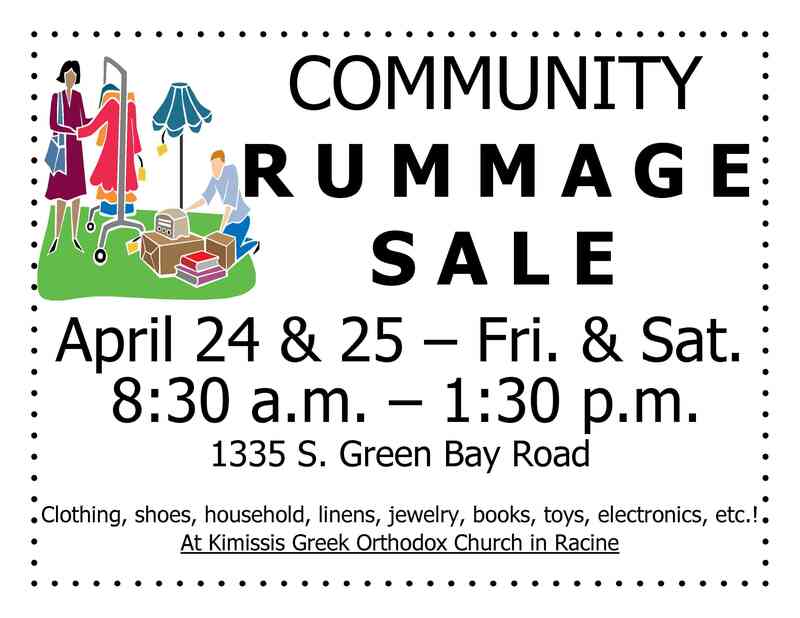 Clothing, shoes, household items, linens, jewelry, books, toys, electronics, etc. 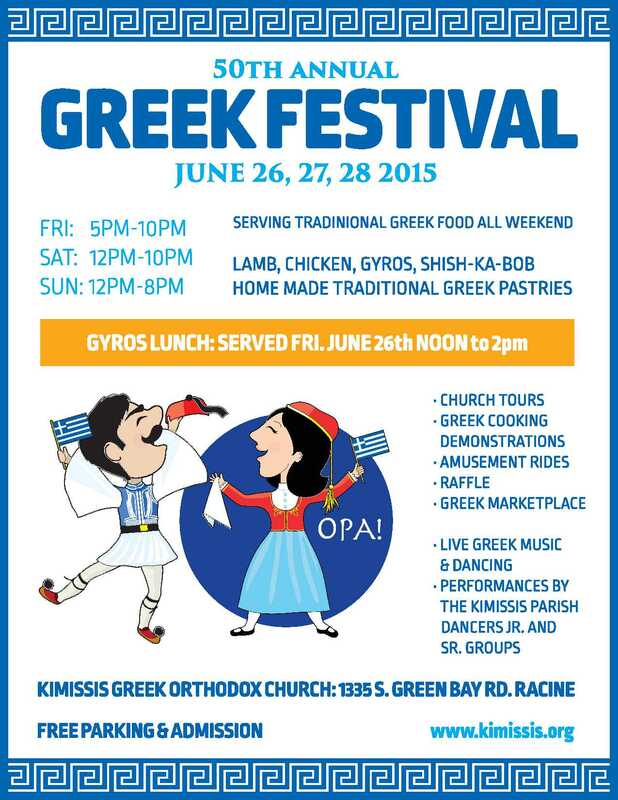 Kimissis tis Theotokou Greek Orthodox Church of Racine announces their annual Homemade Greek Pastry Sale. 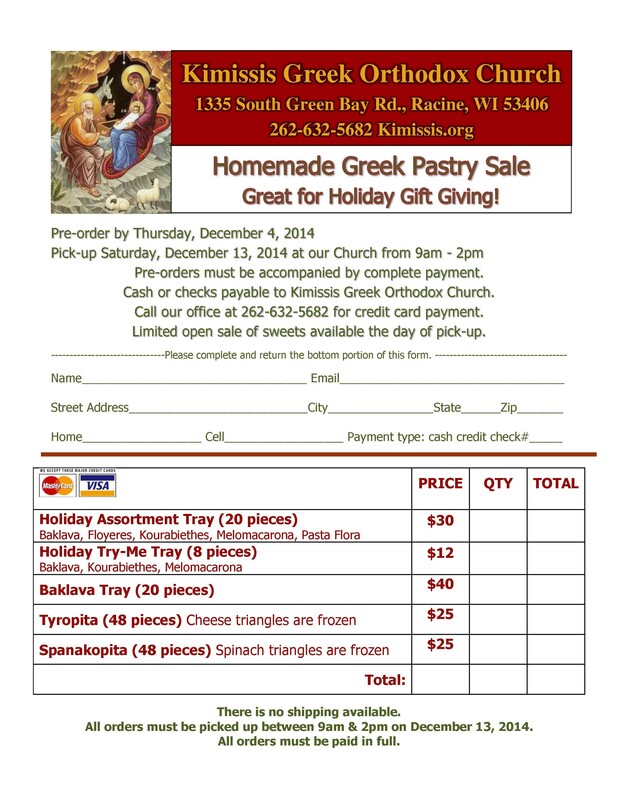 Although there will be a limited number of pastries available the day of the sale, pre-ordering is strongly recommended. 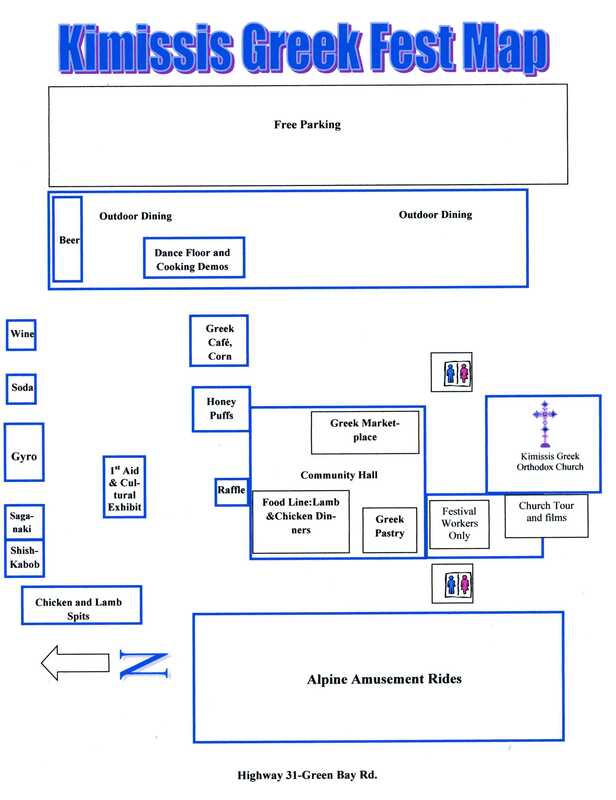 All pre-orders must be received by Thursday, 4 December 2014. 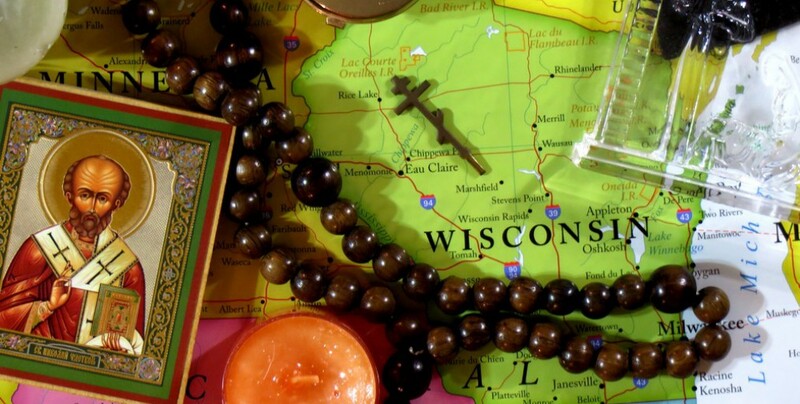 No shipping available.